It is a well established principle of copyright law world over that laws or texts of legislations cannot be copyrighted. There are basically two reasons for this: firstly, for copyright to subsist in a work there must be a minimum modicum of creative expression in the work and secondly, copyrighting laws would defeat the whole purpose of enacting them and resultantly would become an impediment in enforcing them. The same principle when transposed to the international arena still holds good. Therefore, treaties entered into between sovereign powers or through the United Nations, its agencies and other international organizations are never copyrighted and are freely accessible in the public domain. However, the International Maritime Organization (IMO) seems to be a curious exception to this norm. The IMO, as is evident from its website, claims to be holding copyright in all its publications. The problem here lies in the fact that such publications cover not only the works which may be worthy of copyright protection like reports, studies or commentaries but also consolidated texts of treaties and conventions entered into by member states under the auspices of the IMO which are sold exclusively through licensed distributors . To appreciate and analyze this claim of copyright it is essential to understand the history, nature and working of the IMO briefly. The International Maritime Organization – is a specialized agency of the United primarily charged with the responsibility for the safety and security of shipping trade all over the world, and the prevention of marine pollution by ships. 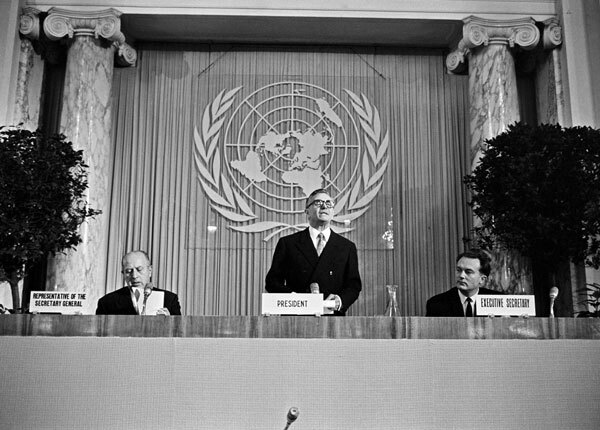 The IMO was until 1982 known as the Inter-Governmental Maritime Consultative Organisation (IMCO), which was established in 1948, but came into force only in 1959. The IMO’s primary purpose is to develop and maintain a comprehensive regulatory framework for shipping and scope of work today encompasses safety, environmental concerns, legal matters, technical co-operation, maritime security and the efficiency of shipping. The IMO is governed by an Assembly of Members, and is financially administered by Council of Members, elected form the Assembly. IMO’s work is conducted through five committees and these are supported by technical sub-committees. Currently, the IMO has 171 member states including India which is one of IMO’s earliest members. After its formation, the IMO adopted a new version of the International Convention for the Safety of Life at Sea (SOLAS), considered as the m ost important of all treaties dealing with maritime safety. Subsequently, another important convention was enacted to tackle marine pollution called the International Convention for the Prevention of Pollution from Ships, 1973, as modified by the Protocol of 1978 relating thereto (MARPOL). MARPOL covered not only accidental and operational oil pollution but also pollution by chemicals, goods in packaged form, sewage, garbage and air pollution. These two conventions cover the substantive rules and regulations relating to maritime safety and pollution. India, like all member states, adopts the provisions of the conventions in its own domestic maritime and shipping rules and regulations. Since the subject matter of these conventions is extremely technical in nature, the conventions need constant revisions keeping in view latest trends and technology. Pursuant to this objective, the technical committees of the IMO constantly revise the conventions by amending the Annexures to the conventions which primarily contain technical standards and norms to be followed. The IMO adopts a “tacit acceptance” method to approve of these constant amendments. Meaning, instead of requiring approval of member states for every amendment, the amendments come into force after a specified time period provided there is no opposition by the member states. The Consolidated Texts published by the IMO in which it claims copyright contain the text of the conventions along with the updated annexures and also the unified interpretations provided by the technical committees. The copyright claim, quite plainly, is utterly frivolous and stands no ground in law. The adoption and enactment of conventions is an integral part of the law making mandate of the IMO delegated to it by the member states. The legislative texts are a direct consequence of the functioning of the IMO and its committees. The rules and regulations set out by the IMO Conventions are absolutely necessary for maritime industry of the member states. The effective implementation and enforcement of its conventions is also an objective of the IMO. In view of this, asking the subjects of its member states to pay royalties for accessing the updated conventions is tantamount to creating a barrier in the effective implementation of the conventions. Furthermore, as is evident from the working of the IMO, the activities of the IMO are substantially funded by its member states. Therefore, it is ridiculous to charge the member states for something which has been financed indirectly by the member states. Finally, compilation of the consolidated texts is by itself not sufficient to warrant copyright protection. Although, in the case of Eastern Book Company v. D.B. Modak the mere compilation of court judgments was held to be copyrightable, such compilations must involve the use of some skill and judgment to suffice the threshold of originality. However, mere mechanical compilation of legislative texts, as in the case of IMO publications, does not qualify for copyright protection.